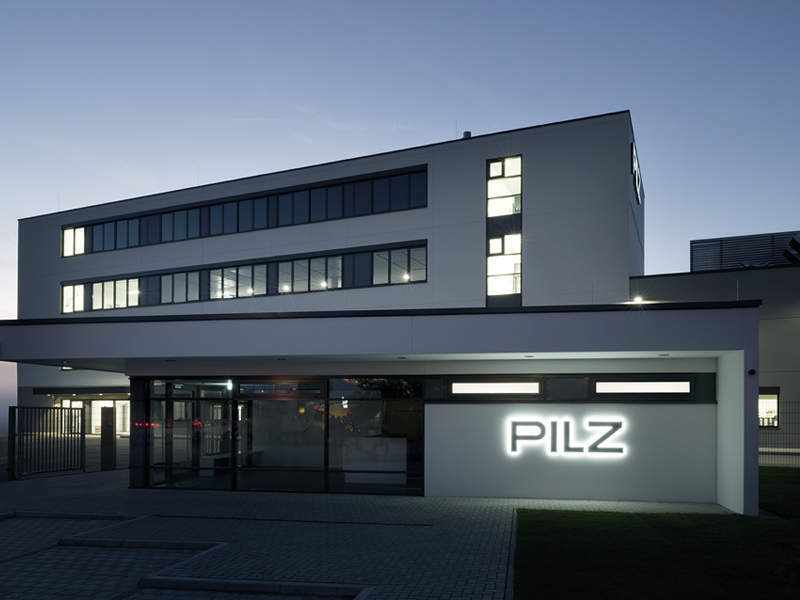 On 1 October Pilz opened the Peter Pilz Production and Logistics Centre at its headquarters in Ostfildern. The new building covers a total area of around 13,500 m2 and at 20 million Euro is the largest single investment in the history of this family business. As a result, not only is Pilz enlarging its production area by 50 per cent, it is also expanding its headquarters into the Pilz Campus. The Peter Pilz Production and Logistics Centre was built within 16 months. With a 6,900 m2 production area, around 4,000 m2 of office space and 2,600 m2 of ancillary areas, the building provides space for 390 staff. In addition to production and logistics it will also house all the departments related to production, including production technology, information technology, quality management and purchasing under one roof. "We are delighted to be able to invest right here at our headquarters and so continue our growth. Firstly because we have deep roots in this region. Secondly we are expanding our headquarters into the Pilz Campus, in which all departments will be able to work closely together for our customers' benefit", said Renate Pilz at the official opening on 1 October, in front of around 200 guests. In the new manufacturing site Pilz will be producing relays, control systems, sensors and drive technology for safety and automation.